The vacuum technology of the BMF is particularly in demand for the transport of chips in the case of minimal-volume lubrication and dry processing. The chips are extracted directly from the machines by suction and transported via a pipeline to a centrifuge or a bunker. 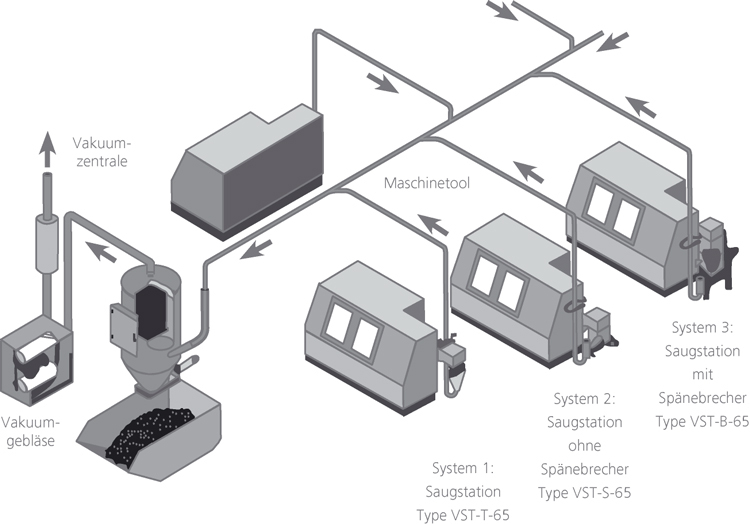 Modular vacuum suction systems can be connected to almost any production installation. They can even be integrated in existing production facilities.